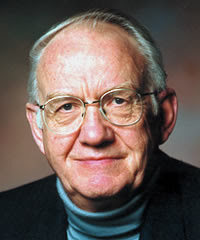 One of the most respected and readable New Testament scholars of the twentieth century is Gordon Fee. His commentaries, work on textual criticism and contributions to Bible translations have left a mark on New Testament scholarship for years to come. One thing that makes Fee "unique" among NT scholars is that he is also a pentecostal. To modern students of the Bible this may not seem all that unusual. But at 76 years of age, Fee has been a pioneer within his tradition. Since the pentecostal movement matured during the era of the modernist/fundamentalist debates, there was often a suspicion of higher education, especially in the area of Bible and theology. This means that for someone like Fee, who was raised and remains a pentecostal, entering the field of biblical scholaship could be viewed by some with distaste. Mathew Montonini has posted an interview with Fee from Charisma Magazine. It is a good read and provides a peek into the career and life of a prominent New Testament scholar. Just how important were the Kingdoms of David and Solomon? 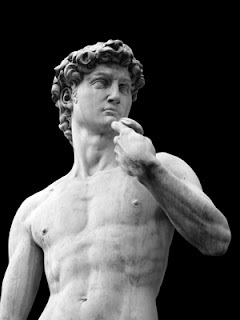 When people think of King David the first thing that comes to mind is the story of David and Goliath. With Solomon it is usually the story in which he suggests that a baby be divided between the women fighting over him. Those who are more well-versed in the Bible will also think about the glories of the Davidic monarchy and how the father and son established Israel as a powerful, regional power that extended from the Mediterranean to the Euphrates. But it will probably will come as no surprise that biblical scholars are not always sure that the story was as glorious as it is presented in the pages of the Bible. One of the biggest stumbling blocks has been the lack of any physical evidence that David and Solomon ever existed. Until 1993 archaeologist did not have any artifacts and/or inscriptions that connected David and Solomon to the Israelite kingdom. Unlike other major regional powers (Egypt, Assyria, Babylon) there is next to nothing in the way of physical evidence for the Davidic monarchy. That changed in 1993, however, with discovery of the Tel-Dan inscription which appears to mention a "house of David". This is an important although meager piece of evidence. Suddenly those from the Copenhagen School, which promote a minimalistic approach to the Bible, were put on the defense. For more than 20 years they claimed that the Israel of the Bible, along with David and Solomon, was a literary creation of exiled priests rather than an historical account. They were, of course, arguing against the Albright School which approached archaeological sites with a trowel in one hand and the Bible in the other. Albright and his students often used the Bible as sort of road map to archaeology. The problem, of course, is that they sometimes (often?) read the data in chorus with the Bible. This means that they were in danger of allowing the Bible to color their conclusions. Since 1996 a sort of middle way has risen under the scholarship Israel Finkelstein. Finkelstein has promoted what has been termed "low chronology." In a nut shell, he argues that all of the archeological ruins that have been dated to the tenth century BCE (the time of David and Solomon) are off by 100 years. He argues what many archaeologists claim to be ruins of the Davidic kingdom are actually those of the Omride dynasty of the northern kingdom built 100 years later. He does not claim that David and Solomon never existed, just that they were not as important as the Bible and some archaeologist claim. In the last ten years Finkelstein has been locked in a battle with several prominent archaeologists over the data. Two in particular are Amihai Mazar and Eilat Mazar. Amihai is the nephew of the famed Israeli archaeologist Benjamin Mazar and Eilat is his granddaughter. Amhai has worked for over a decade at Tel-Rehov and Eilat has claimed recently to have uncovered King David's palace in Jerusalem. The current issue of National Geographic has dedicated a lengthy article to the debate between Finkelstein and the Mazars. In addition to the exceptional pictures, Robert Draper has done an excellent job of summarizing the debate and the future of David's legacy. It is particularly fun to read how important scholars trash talk one another in an effort to support their own hypothesis. Apparently biblical scholars and archaeologists never really leave the playground. They just move it and their antics into the academy. It is a really good piece and I highly recommend it. Also, Jim West has been posting about the Nova special "Searching for Solomon's Mines" Finkelstein has provided some interaction with Jim's posts. Read it here. Jesus' "temporary tomb" the debate continues. Last week I posted about an article written by Eldad Kenyan who suggests that Jesus' tomb was intended to be temporary since it belonged to the Sanhedrin. I questioned Kenyan's use of the Mishnah for interpreting the Gospels. Kenyan was graciousness enough to engage me on the topic. Unfortunately, my time at SBL in Atlanta hampered my ability to interact with him further. But there is a vigorous debate occurring between Kenyan and Alex Dalton. It is this kind of interaction that makes blogging worth the time. Take time to read their interchange and add your own comments as well. Most people under 35 have never heard of the KJV? This seems hard to believe. But that is the claim being made by the King James Trust which commissioned the poll. 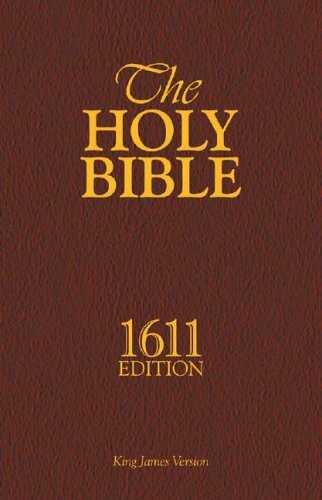 More than half of young adults have never heard of the King James Version of the Bible, according to a new survey. The influential translation, which will celebrate its 400th anniversary next year, is believed to be the biggest selling book ever produced. 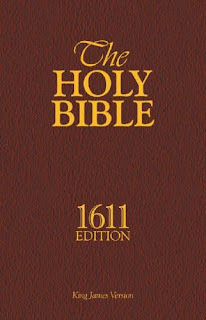 But a new poll has revealed that 51 per cent of under-35s have never heard of the King James Bible, compared to 28 per cent for those over the age of 55. I had a good conference at SBL Atlanta this year. In fact, it was one of the better ones. I heard several good papers and enjoyed catching up with others in the field. The location was excellent since Atlanta is easy to get around and food, although more expensive than Ashland, was reasonable for a major city. I must confess, however, to holding a certain level of disquiet when I think about my chosen field and what the future holds for it. This stems not from my regular work environment, my colleagues nor the students I teach. I admit that I am quite happy there and with what I do. I am still thrilled to think that someone actually pays me to do this. Some days I am afraid I will have to find a “real job”. No, my anxiety level rises up each year when I attend the annual meeting. Somehow the meetings have had the same waning effect on me as Christmas. I remember the first one that I attended. I was overcome by the sheer number of papers. I scheduled my days so full that I was often unable to find time to eat lunch between sessions. I read name tags on the sly and began to put faces with the names on the articles and monographs I had read. And oh the books! I had never seen so many and at such good prices. Surely there was a God and his address was someplace in Grand Rapids Michigan. But eventually, like a child who no longer believes in Santa Claus, the magic of the meeting wore off. Now, having attended the meetings for more than a decade, I no longer find that they provide the level of intellectual stimulation that I crave. The papers can, I am sorry to say, be somewhat underwhelming. But more than the sessions the thing that bothers me most is the sheer volume of material that is being published each year. I am not talking about peer reviewed scholarship. Rather, I am thinking about all of the other books that appear each year and are usually out of print within five years. I walk around the stalls and wonder how many more commentaries we need on Matthew, Joshua or any other book of the Bible (says the man who signed a contract to write a commentary). What are we doing? Our scholarship has become, in some ways, a celebrity sport. We stand in awe of speakers who are introduced as the author of twenty books, over one hundred articles and three video series. Bart Ehrman and NT Wright appear on the Colbert report, and while I admit I found their performance entertaining, I wonder why it is that these people are held up as the representatives of scholarship in our field? Whatever happened to the individual who only wrote three to five books in his/her whole career and yet truly left a lasting impression on the field? The sheer volume of books put out each year makes me suspect that the tail is wagging the dog. Sometimes, I fear that we consider the volume of publications produced as an indicator of our importance and indispensability. Like squids, we squirt ink and conclude that the small cloud produced in the water is indicative of the influence we are having in the greater ocean in which we live. I wonder if I am the only one who feels this way or if I am just way too tired having coming off of the SBL experience. Anyone out there have any opinions? Naked Archaeologist: Who wrote the Bible? They did not provide the embedding code so you will need to click on the link to BAR's page to watch it here. My posting of this is by no means an endorsement of the program or its host. But it does bring a more popular spin on the sometimes (often) dry and complicated business of scholarship. 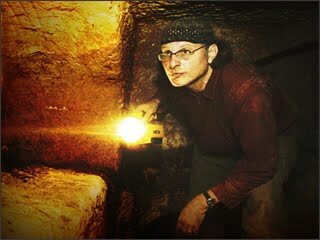 One interesting fact is that the last archaeologist he interviews is Dr Gabriel Barkay. Dr Barkay was my archaeology teacher in Israel and has been a guest speaker in Ashland twice. Josephus on the Resurrection and the Challenge of Apologetics. But Jonathon correctly notes that this is not always an easy task. There are questions as to whether this statement is original to Josephus or if it was added later by the Christians who preserved his writings. If you have used this quote from Josephus in your teaching or preaching you should read what Jonathon has to say. The following was written by Joe Lunceford who teaches New Testament at Georgetown college in Georgetown, Kentucky. You are probably among the masses of people who have never heard my name. It is mentioned in only one sentence in Holy Writ. There were only a very few of us—at least of those whose story was remembered by any except family and close friends. For those few who have read Paul’s letter to Philemon, I was understood as the wife of Philemon. 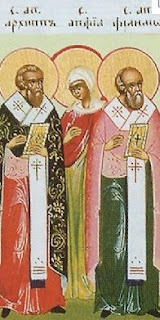 Philemon, Apphia, and Archippus were understood to be husband, wife, and son respectively, according to the tradition. However, if one examines the text carefully one sees the address to Philemon the beloved, to Apphia the sister, and to Archippus the fellow soldier. The three of us are addressed on the same plane, rather than in any hierarchical fashion. My name, like that of many of my sisters in the faith, might have been entirely forgotten. My story was not one that would have made headlines in the world of which I was a part. But a strange thing happened—to those unfamiliar with the workings of God, at least. Someone came upon my story in a musty tome which had seldom seen the light of day. When that person read my story, she discovered that I had given my life for my faith in Jesus as Lord just as bravely as any of the male martyrs whose stories were carefully passed down. She determined to bring my story to the attention of leaders in the church who were in the position to see that my story did not die. I do not know the details of how any of this happened, but I do know that the hand of God was in it all. My story became known to enough of the leaders in the Eastern Church that they decided my memory must not be forgotten. I owe a great debt to those nameless church leaders whom I was never to know. They decided that my memory would be renewed every year. They gave me my own day of remembrance—an honor which even most of the male martyrs were not accorded. 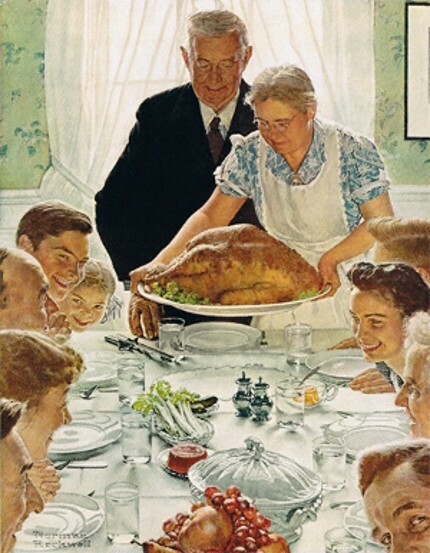 So the next time that November 22 rolls around, pause and remember me. If God’s Spirit should so move you, offer up a prayer of gratitude that I was willing to make the ultimate sacrifice for the sake of the One who made the ultimate sacrifice for me. Then go forth in the same spirit, my sisters, to share the boundless love of Christ. Do not be deterred by those who say you cannot preach or be leaders in the church. God says you can. There may be many obstacles in your path. You may at times feel terribly alone to the point that you are about ready to give up. Just remember that one person plus God constitutes a majority! The same Spirit will carry you through the dark times that enabled me to stand firm in faith to the end. I am Saint Apphia. I have only been blogging since July, but I have been having a good time. I am at the annual meeting of the Society of Biblical Literature where I will be meeting many fellow bloggers. Here is an interesting article by Jim Davila on the history of biblioblogging. Many thanks to Jonathon for posting this. You can read Jim's paper here.